A dark, oily Brazilian Maduro wrapper glimmering with oil makes this Nub the fullest in body among the rest of the line. This husky little devil, packaged in a box of 24, is overflowing with enticing flavors that include, dark chocolate, coffee, sweet spice and caramel. The maduro is the best of all the Nubs, but for me these are always a little underwhelming. The reason the second and third parts of a cigar are tastier is that the smoke has gone through them for a while, heated them up and mingled with the tobacco. It's not like a short cigar is somehow more sweet spot than a longer cigar. The MUWAT Nightcrawler and the Curivari Buenaventura Petit BV are much better short smokes and they cost around $4 each rather than the $6 Nubs. Consistency is also much better than NUBS, I've had to toss several of these due to hard rolls and plugging. Not surprisingly, these get much better when they burn down near the band. They also tend to burn unevenly and require multiple clean ups. I tried this at the suggestion of another gentleman at my local cigar lounge one afternoon. This wasn't my favorite cigar but one that I would definitely smoke again. 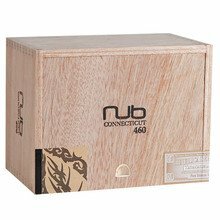 Solid construction and burn with good flavors in a small package. 3 out of 16 found this review helpful. Great smoke if you're craving bold flavors of coffee, cocoa slightly creamy with a hint of spice for me. And I'm still fairly new being a cigarette smoker for 24yrs and dipped snuff and chewing tobacco since I was a full grown manboy at 4yrs old wanting to be a big boy like my hero. My father with that cold Budweiser and a good jaw stretcher of Levi Garrett loose leaf. The old man told Uncle Larry not to give me the pouch. He already knew I'd stomach it since grandma's neighbor Kenny gave me my first pinch of Golden River/Gold Creek??? Which ever one had the gold metal lid with the darker color wrapper back in 1981, s.e. Kansas kinda country boys. I knawled on the chew like it was half a pack of big league chew for a couple minutes before reaching for dad's spitcup and let out one of the blackest thickest spitoo and uncle Larry looks at dad like WTF & I can here dad's voice to this day "that's why I told you not to give him the stuff" and that was the beginning of my lifelong passion for tobacco in every possible form for me to enjoy and conquer. give this a try if you like smooth maduro flavors. Its a nice smoke but it doesnt last too long. It cant be sad when its over. 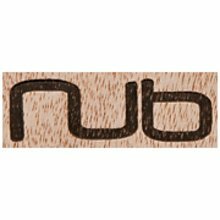 I've had a couple of nubs. It lasts longer than I thought it would, but it's still good if you are pressed for time. Mild flavors of chocolate and coffee. This little stick is full of smoke and flavor. Roughly 60 minutes to the nub nub. Chocolate coffee and nutty notes come through. 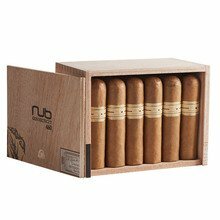 The nub series is delicious. The Maduro is one of the best. Lasts the perfect amount of time. Love the Nub series. Always great flavor and excellent construction. Smooth even burn to the end. These are great. Love the maduro. Good burn, tons of flavor, and a surprising hour or so that you wouldn't expect from this short stogie. This was the first nub I ever smoked and I honestly was a little disapointed. I heard so much good about this stick I was let down. It struck me as just alright. Probably wouldn't smoke again. You can't beat these for a quick smoke if you want a slow, even draw and great taste.